THE CAVEMAN opens with the discovery of Viggo Hansen’s body in his Norwegian home. Although it seems the man died of natural causes, so police involvement is minimal, the fact that the body lay undiscovered for four months troubles Inspector William Wisting who was a neighbour of Hansen’s. The case also fascinates Wisting’s daughter Line, a journalist. She receives permission to be reassigned from the news desk to her publication’s magazine section so she can research and write a human interest story about how a man could be dead in his home for so long with no one noticing. Soon another body is found though in different circumstances. This one seems to have links to a disturbing American case and Wisting and his team are soon joined by their own federal police as well as an American policeman and FBI agents. For fans of procedural novels THE CAVEMAN is a near-perfect example. Indeed it’s actually two for the price of one as we see a methodical police investigation unfold and in parallel we also see how a piece of investigative journalism comes together. I liked the way the two kinds of investigations were juxtaposed, showing their similarities and differences. Most notably the novel shows that both professions have a lot more dead ends and boring-but-necessary process of elimination type activities than popular TV dramas might suggest. I have to say though I thought the social commentary in this novel was a bit heavy handed, especially when I compare it to the book’s most recent predecessor, THE HUNTING DOGS which I thought handled an interesting theme with a beautifully light touch. Here the constant repetition of Hansen’s assumed loneliness and people tut-tutting about social breakdown and lack of community started to grate. I got the point right at the start when Line made the story pitch to her boss so was a little bored by the time every neighbour and old school chum had made their feelings on the subject known. Story-wise the book is solidly entertaining though, for me, a bit more predictable than I like. I won’t give it away, in case you’re not quite as jaded as I am when it comes to crime fiction plotting, but a ‘twist’ towards the end did elicit a “wish I’d had a bet on that happening” kind of groan. It’s probably unfair of me to compare this book to Horst’s previous novel, which was one of my favourite reads for 2015. 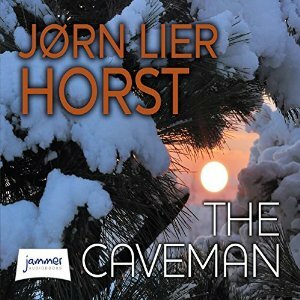 Not every book can capture a reader’s heart and even though I don’t think it’s Horst’s best, THE CAVEMAN is still a cut above the average crime novel. The way that Wisting and his profession share centre stage with his daughter and hers adds a unique dimension to the story and I did enjoy the depiction of the Norwegian police dealing with their American counterparts. It’s always such a tricky balance, I think, deciding how to handle the social commentary part of a novel, Bernadette. How much is ‘too much’?’ I think that varies by reader as much as anything else. That said, though, I’m glad you enjoyed this one. I think is one of the solid police procedural series out there, and I do like the Wisting and Line characters. I just finished this. It is a good, solid police procedural with eccentric brutality elements as found in Nordic mysteries, in particular. It reminds me of Sjowall and Wahloo, but with more on the page brutality than they included. I’ll read more by this writer. I must say I couldn’t put the book down.